Dominant Social Theme: Racism was responsible for marijuana prohibition. Free-Market Analysis: The New York Times is out with what is apparently intended to be a definitive history of why marijuana was criminalized. This is a very important issue because the sudden reversal in marijuana laws and regulations is bringing up a question about criminal justice in the US. If so many lives have been negatively affected by marijuana prohibition via incarceration and worse, then why should one have faith in Western jurisprudence? Now marijuana is on its way to being legalized around the world and yet there are thousands – maybe millions – still suffering from strict punishments for dealing the drug or even using it. The cannabis plant, also known as hemp, was widely grown in the United States for use in fabric during the mid-19th century. The practice of smoking it appeared in Texas border towns around 1900, brought by Mexican immigrants who cultivated cannabis as an intoxicant and for medicinal purposes as they had done at home. 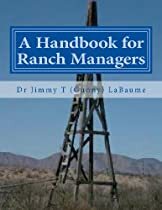 Within 15 years or so, it was plentiful along the Texas border and was advertised openly at grocery markets and drugstores, some of which shipped small packets by mail to customers in other states. As the legal scholars Richard Bonnie and Charles Whitebread explain in their authoritative history, “The Marihuana Conviction,” the drug’s popularity among minorities and other groups practically ensured that it would be classified as a “narcotic,” attributed with addictive qualities it did not have, and set alongside far more dangerous drugs like heroin and morphine. … In 1930, Congress consolidated the drug control effort in the Federal Bureau of Narcotics, led by the endlessly resourceful commissioner, Harry Jacob Anslinger, who became the architect of national prohibition. His case rested on two fantastical assertions: that the drug caused insanity; that it pushed people toward horrendous acts of criminality. Others at the time argued that it was fiercely addictive. He may not have actually believed his propaganda, but he fed it by giving lurid stories to the press as a way of making a case for federal intervention. This narrative had a great effect at Congressional hearings that led to the enactment of The Marihuana Tax Act of 1937, which tried to eradicate the use and sale of the drug through heavy taxation. The federal government has taken a small step back from irrational enforcement. But it clings to a policy that has its origins in racism and xenophobia and whose principal effect has been to ruin the lives of generations of people. There are other perspectives on the criminalization of marijuana that have long circulated in the alternative media and databases, including Jack Herer’s book, The Emperor Wears No Clothes. These publications, often available on the Internet, provide us with the perspective that powerful players were behind the evolving cannabis prohibition. Cannabis opponents are said to have included William Randolph Hearst, the DuPont family and Andrew Mellon. Such players had substantial interests in timberland, wood pulp and oil-based products and may have seen cannabis-hemp, useful in producing many of the same items, as an unwelcome competitor. This New York Times article focuses only on racism and xenophobia as the cause of marijuana prohibition. But to leave out other possibilities (as mentioned above) strikes us as a suspect editorial decision. It is, after all, an important issue and one that deserves a public airing. 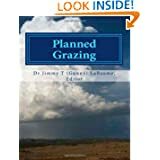 The website AlterNet posted an article in 2008 (“Debunking the Hemp Conspiracy Theory“) arguing that the idea powerful people wanted to make cannabis-hemp illegal wasn’t supported by any conclusive evidence. But Mellon’s fortune was in fact related to oil and he was responsible for the creation of the narcotics bureau and did indeed put someone related to him in charge of it. From an investment standpoint, the mechanics of marijuana prohibition are important. It’s been this publication’s mission to point out that investment opportunities are often influenced by behind-the-scenes factors that are never mentioned in annual reports or even research reports. What we call the Internet Reformation has made this information far more available, and if readers don’t find it in the mainstream press, there are plenty of other places they may seek it out. To be truly informed, one needs to understand these less obvious influences and The New York Times doesn’t help its readers by leaving out any discussion of them. 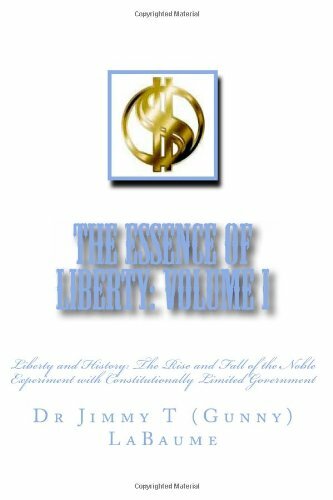 The Essence of Liberty Volume II: The Economics of Liberty Volume II will introduce the reader to the fundamental principles of the Austrian School of Economics. The Austrian School traces its origins back to the Scholastics of Medieval Spain. But its lineage actually began with Carl Menger and continued on through Adam Smith, Ludwig von Mises, Murray Rothbard and many others. It is the one and only true private property based, free market line of economic thought. 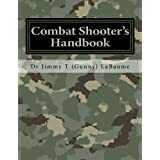 Available in both paperback and Kindle versions. 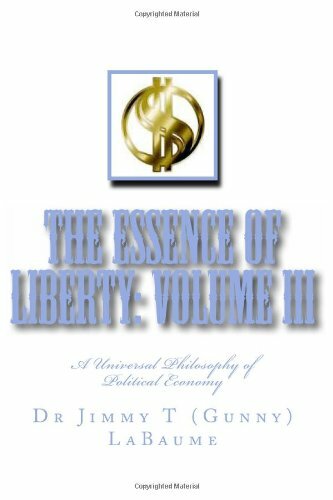 The Essence of Liberty Volume III: Liberty: A Universal Political Ethic. This is the volume that pulls it all together. 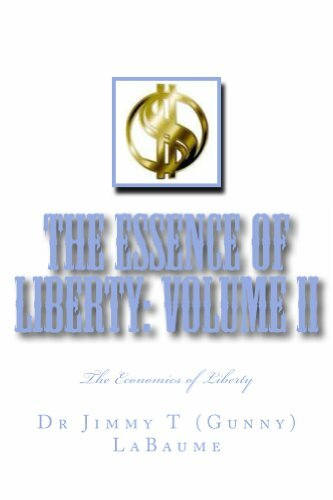 With reference to Hans-Hermann Hoppe’s description of Murray Rothbard’s work, it is a “unique contribution to the rediscovery of property and property rights as the common foundation of both economics and political philosophy, and the systematic reconstruction and conceptual integration of modern, marginalist economics and natural-law political philosophy into a unified moral science: libertarianism.” Available in both paperback and Kindle versions. This entry was posted in Prohibition, The War on Drugs, Uncategorized and tagged prohabition, War on Drugs. Bookmark the permalink.